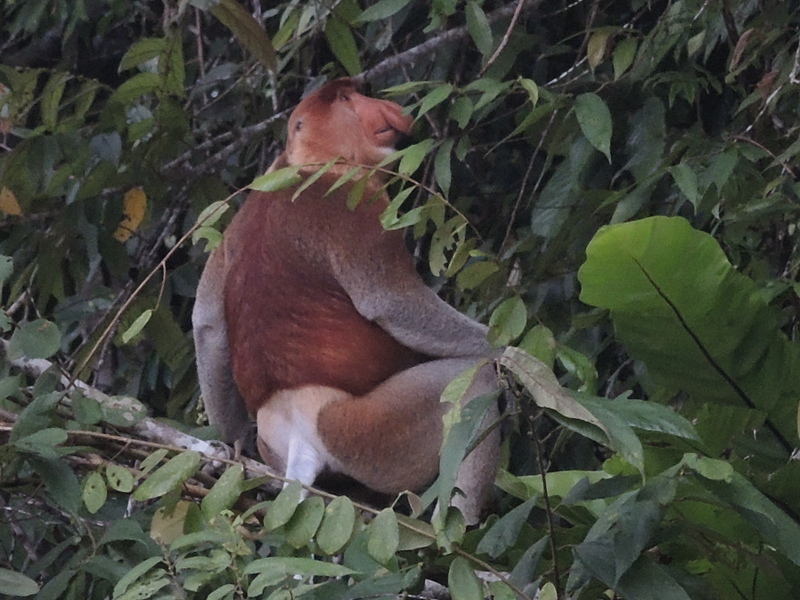 Another proboscis monkey with a more pronounced nose. Photo taken in Malaysia. This entry was posted in Travel Photos and tagged 50 Year Project, Animals, Asia, bekantan, Borneo, Kinabatangan River, Life, Malay, Malaysia, Monkeys, Nature, Photography, Proboscis monkey, Sabah, South East Asia, Travel, Travel Blog, Travel Journal, Travel Photo, Wildlife. Bookmark the permalink. Funny, I didn’t notice the r until you pointed it. He does look like a caricature. You need to find who he is a caricature of now! Maybe I’ll hold a contest. He looks happy enough in his tree. He’s getting ready for bed. I also like bedtime. Yes, I hadn’t thought of him, but now that you mention it. Almost looks like someone stole his speedos and we are seeing his untanned back side! He’s the leader of the pack. I hope the one who stole his speedos is fast. Love the picture but I had to laugh. He looks like he’s wearing a diaper. Am I the only one who thought this? I can see that. I didn’t think that until you mentioned it, but now I see it. he’s answering the question-boxers or briefs? Wow, that’s quite a schnoz! I had to second glance this one! I thought it was a man in a nappy! Wouldn’t that be funny if it was. Some wild man living with the monkeys pretending.